Focus School Software LLC has also a job opening for a full time junior Linux System Administrator. Visit this link for more details. The Introduction to Linux elective is available for BSIT and BS Cyber Security students during summer 2018. USF CSE department is offering our Linux intro during Summer 2018. Do not hesitate to reach out to me if you have any questions. The Computer Science & Engineering Technology Services team is hiring for summer & fall 2016! If you are looking for a part time job, generally around 20 hours a week, giving you the opportunity to work with our department helpdesk team, please send your resume and cover letter to me. Besides help desk tasks, we also tend to work with our students to find specific workorders that will play to their strengths and allow them to gain experience with things that are a bit more involved. Make sure to mention in your letter the kind of things that interest you in system administration! The L0 - User-Level Intro to Linux course will most likely be offered every Fall semester from now on. Plan accordingly and do not hesitate to get in touch with me if you have questions about it. The previously announced new version of our L0 - user-level intro to Linux will roll out this semester. Other offerings in the Linux technology track are on hiatus for this semester due to the need to assign our resources to teaching BS IT cores first. However, get in touch with the track coordinator, BSIT program director or Department chair if you need a specific Linux electives in the upcoming semesters. Feedback on your needs will help us assign resources so as to ensure you get the electives you want when you need them. A new version of our L0 - user-level intro to Linux is being developed. The new site will provide information about how the material fits with the CompTIA / LPI Linux+ certification. It will also provide more Discussion Forums to help you learn about open source & Linux via low-pressure assignments every week. Last but not least, it will re-introduce Bash scripting as a conclusion of our introduction. More improvements are in the works, keep an eye on the website as they are pushed online. As some of you already know, we are working on setting up a general-purpose Information Technology Student Organization in Fall 2015. If this seems along your lines, drop me a line so I add you to a contact list. As we get ready to start in Fall, I will reach out to you. Let me know whether your interest is in being a member or leading the group. Our User-Level Intro to Linux will be offered in Fall 2015 at USF under either the special topic number COP3931, or the newly approved COP3353. Similarly, the Android mobile development offering will also be available either under special topic number COP3931 or the newly approved COP4666. Keep an eye out for both numbers when looking through OASIS as we are going to switch to the new ones as soon as they are added to the USF course inventory. Last semester, the various offerings of the Linux track have been reviewed by the undergraduate council and assigned permanent prefix and numbers which should be used by Fall 2015. As we get closer to this semester, the number numbers will be posted on this site so that you know what to look for in OASIS. Dr. Abdel Ejnioui joined our Linux Technology team and will be offering his course on Mobile Development for IT. The course focusses on Android and requires some previous Java knowledge easily acquired via the BSIT core offerings. In the meantime, if you are a student looking to specialize in a Linux technology we are not yet teaching regularly, you may want to also get in touch to discuss possibilities of leveraging an IT Senior Project or an independent study to explore a specific topic with one of our faculty. Fall 2014 Student Projects Started! We have a new tab showing student projects related to the Linux track. As is mentioned there, do not hesitate to get in touch with me to discuss potential projects but make sure you do so during the semester preceding the semester you want to work on your project. E.g. if you want to work with us in Fall, get in touch during summer. Good projects, which focus on the students interests and provide something they will be able to show future employers, take some time to prepare. This is why we need to be able to discuss back and forth by email or even meet while designing. All projects will be reviewed by the supervising faculty and the track coordinator to ensure we have quality. The link has been added to our "links" tab. If you have similar media tidbits you want to share with other students in the Linux Technologies track, just drop me an email. We have had, over the last month, a few students inquire about IT Senior Projects involving Linux. It is great to see students interested in working on this platform for their capstone experience! If you are interested, simply take a look at our teaching team in the about tab and feel free to get in touch with any of us to discuss possibilities. Make sure that you do so as early as possible though. Both the letter of intents and the project form itself need to be written, signed, reviewed and accepted before the start of the semester. The USF Department of Computer Science & Engineering has an opening for a system administrator position which I thought might be of interest to some of you. Linux skills are definitively sought from applicants to this position. You will find the job description by going to the USF HR website & looking for job 4618. USENIX is supporting a new peer reviewed journal which might be of interest to those of you with not only a taste for system administration but also an interest in teaching or learning. If you are in this lot, keep an eye on the Journal of Education in System Administation - JESA along with the Summit for Educators in System Administration - SESA. While last minute re-scheduling does occur on a fairly consistent basis, we try to plan one year ahead the schedule of offerings in the USF BSIT program. The following is information to help you plan which Linux Technology offerings you might want to take during the 2014-2015 Academic Year. Keep in mind that the above is purely tentative at this point. Email me and work with your academic advisor to ensure of the availability of a specific offering you plan on taking. For this first "LT-news" entry, I wanted to announce that Colin Arnold joined our team and will be developing our Linux Development Tools offering in Fall 2014. This offering will supplement our User-Level Intro to Linux for students who are interested in Linux technologies but not necessarily in becoming Linux sysadmins. Stay tuned for announcements about its availability & email me if you have questions. Welcome to the website for the Linux Technologies Tracks offered by the USF Department of Computer Science & Engineering BS in Information Technology program. The objective of the Linux Technologies specialization tracks is to support the teaching of Linux & open source technologies at large. In addition to making educational material freely available, this also entails education research meant to identify & address the learning barriers encountered by students in this field. At this point, you might be asking yourself why you should develop Linux skills as an IT professional & which of our tracks is best for you. Head over to our FAQ tab & Let us address these questions. Feel free to send us feedback about your experiences with the material herein, whether it is as a student, independent learner, or instructor. Given the omnipresence of Linux in the data center, high performance clusters, web servers and even mobile devices, it is unwise for an IT professional to be totally unknowledgable about the Linux platform. While not everyone wants to become a full-fledged Linux system administrator, many IT professionals may therefore benefit from knowing a bit more than the basics. If this is your goal, we recommend you take the following offerings. Developed & taught by Colin Arnold. The following offerings may be taken in series to provide the foundations for students interested in working as Linux system administrators. Please note that, based on your previous experience with Linux, you might want to jump directly into the 2nd or 3rd offering of this track. The various offerings in this track are suitable to prepare students to entry level certifications such as COMPTIA Linux+ or LPI. This introduction is pre-requisite to any serious work in a Linux system administration specialization track. It may be skipped if you have already solid Linux experience. The second offering in this specialisation track focuses on learning to use tools & technologies aimed at facilitating the administration of Linux workstations. The skills taught in this offering are relevant to future Linux system administrators but also to developers or IT professional. It is relevant if you plan to work on Linux platforms & want to get a better mastery of your work environment. The third offering extends on L2 by focussing on tools & technologies aimed at the administration of entire networks of Linux servers & workstations. The impact of Linux, via the Android platform, on the mobile device market rivals its impact on data centers. This track is devoted to anything related to Android technologies and is meant for IT majors who want to supplement their BSIT courses to prepare for working on this platform. Developed & taught by Abdel Ejnoui. Focus on mobile applications development with Android. Requires previous knowledge of Java. We are always looking for students in dealing with Linux projects. These might be focused on system administration, Linux application development, scripting, Android, Web development... You will find below a list with projects dating back to before the USF Linux Technology track. These should give you an idea of what we are doing now, but also the topics we've been exploring to date. Make sure that you get in touch with the track coordinator at least one semester before you plan to take your project. We will work by email to define the scope and find a faculty from our teaching team to supervise you. The following projects share a focus on Linux technologies from the perspective of system administration. We also have projects focused on Linux web development technologies such as LAMP & MEAN stacks. We are committed to develop educational material based on sound education theories or frameworks. To this end, we conduct research to continuously and rigorously identify the learning barriers encountered by our students & develop effective pedagogies to address them. While the computing education research community has had significant successes in programming pedagogy, very little literature exists on teaching Linux technologies or system admnistration. Our ongoing efforts are meant to improve our understanding of what makes these topics hard for students & how interventions which were successful in other offerings might be adapted. The following papers summarize our findings, feel free to visit the CEReAL research group website for more information about our other projects. A. Gaspar, S. Langevin, N. Boyer, C. Bennett. LINKS - Designing an online, applied, Linux articulated program, USF Polytechnic Scholarship Day, 9th April 2012, Lakeland Fl. LINKS - Applying the Revised Bloom Taxonomy to System Administration, USF Polytechnic Scholarship Day, 9th April 2012, Lakeland Fl. 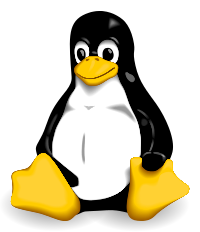 This page provides a small selection of links ot help you get started in learning more about Linux Technologies. These are great environment to find other fellow Linux enthusiasts to mingle with. I will try to keep the list below up to date with LUGs available in central Florida. Do not hesitate to get in touch to have your LUG added. Our online students are from everywhere in Florida, helping them find a LUG near them is the point of this list! This page attempts to address frequently asked questions from both prospective students & those already enrolled in one of our offerings. If some of your questions are still left unanswered drop me a line. FAQ - Why should I develop Linux skills? Linux is a major "player" in the data center, for web professionals, for security experts, in the world of mobile computing, and is even making forrays into the desktop world! Being Linux-illiterate is therefore a dangerous proposition for any IT professional. FAQ - Which Track is best for me? The USF LT track allows BSIT students, and others, to take a cohesive series of electives allowing them to develop the Linux skills which will best serve their professional goals. Students are allowed to pick from our pool of offerings as they see fit, but also encouraged to consider the tracks we have already prepared for them. These tracks ensure that you have all the pre-requisites for more advanced Linux work and that you develop your new skills along a rational and coherent path. While we obviously target students who are interested in becoming Linux system administrator, we have also offerings serving different interests in the broad spectrum of Linux technologies. So far we cover anything from end-users, to application developer working on the Linux platform, to web administrator or web developer interacting with Linux web hosting solutions. FAQ - Are you only focussed on Linux desktops / servers? No, we see ourselves as the Linux Technologies Hub for the USF Information Technology program. As such, we aim at preparing our students to work with all sorts of Linux technologies. Historically, we started with the system administration aspects. This is why you will find more offerings focused on these aspects at the moment. However, our offerings are extending regularly and you will see that we are also providing courses for Android and plan on pushing on Linux Web Technologies aspects very soon. In the meantime, if you are interested in exploring these topics with our team, we are open to setup specific IT Senior Projects or Independent Studies to help you do so. Get in touch with us to discuss specifics. FAQ - Where do I get certified? Certifications are always a good thing to get in Information Technology. We made sure to integrate in our tracks topics relevant to industry and therefore certifications. While USF does not grant certifications, there are opportunities for our students to get their certification exams sponsored by USF. Make sure to contact your instructor early in the semester to mention your interest in benefitting from this opportunity. The following are links to some of the certifications you might be interested in pursuing while finishing your BSIT degree. These two certifications used to be separate but have now pretty much merged together. They are good entry-level certifications which are relevant not only to system administrators but also to any IT professional who needs to demonstrate a good familiarity with Linux technologies in general. Find more information on the CompTIA website. Our User-Level intro to Linux roughly covers the first exam of this certification. You might be able to tackle it after taking Linux workstation admin alone or with Linux networks admin, depending on the support or preparation you want in parallel with your own certification-focused studying. Red Hat Certified System Administrator & Red Hat Certified Engineer are very well recognized certifications in Information Technology. The hands-on components of the examination distinguish them alone from entry-level certifications. Find more information on the Red Hat website. You will most likely need to take at least the 3 first offerings of our system administration track in order to be prepared for this certification. Please note that, at this time, we are relying mostly on Ubuntu / Debian in our offerings. Therefore, you will have to specifically prepare for Red Hat certifications which are focussed on Red Hat Enterprise Linux instead. However, being knowledgeable in another distribution will allow you to leverage analogies between the two versions of Linux. FAQ - How do I help spread the word? This track started with the NSF DUE ATE award #0802551 in partnership with Polk State College Computer Network Engineering Technology Department. This grant allowed us to develop online modules meant to be used at both institutions while articulating an easy transitions for students with an AS degree from PSC into the USF Information Technology program where they would further pursue their interest in Linux Technologies. These are the faculty who are regularly teaching the various offerings listed in the previous tabs. Do not hesitate to get in touch with them individually with any questions about the offerings they are teaching. If you have questions about a specific track or when a given offering will be taught, get in touch with the track coordinator. The following have taught in this Linux track at some point. The following team members have worked on this grant. Most are members of the CEReAL group. This material is based in part upon work supported by the National Science Foundation under award number DUE ATE 0802551. Any opinions, findings, and conclusions or recommendations expressed in this publication are those of the author(s) and do not necessarily reflect the views of the National Science Foundation.